Located on the ground floor of Thai Pavilion serving American breakfast buffet in the morning and international food. 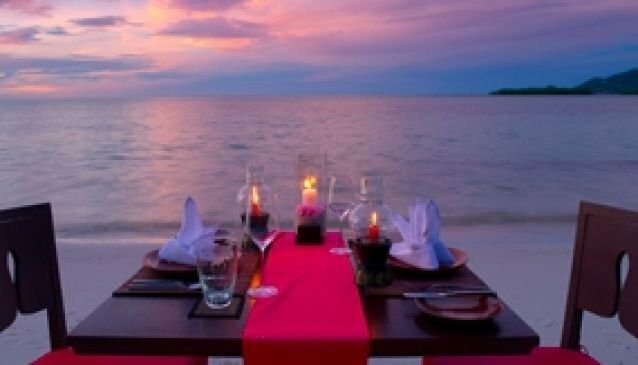 Romance is the order of day at Kalimantan Restaurant at The Briza Beach Resort. This elegant restaurant comfortable seats up to sixty people either in the air- conditioned dining room or outside on the terrace overlooking the gardens. For that extra special occasion there are just five tables situated right on the beach overlooking this quiet end of Chaweng Beach . The menu provides fresh, bold flavors using the finest ingredients combining the foods and flavors of east and west for a unique dining experience. Friendly, efficient service displays the traditions of hospitality for which Thailand is famous.